There is more to Spain that the wines of Rioja and Ribera del Duero, let alone the fortified wines of Jerez. In the east, just south of Catalunya is the region where the sun gets up (or levantarse in Spanish), the beaches are bountiful and beautiful and the architecture, exotic and quaint, a melodic mix of Moorish and Latin influences. Barcelona holds the honor of Spain’s biggest sea port but the city of Valencia is the largest wine port. So big in fact that the local fishermen have complained about being bullied out by the numerous bulk container ships. The result, a nearby harbor was built exclusively for them. Besides shipping out the majority of Spain’s wine and being the busy “boulevard to the sea”, it is the home of paella, Mediterranean Spain’s gift to seafood cuisine (it also helps that Valencia is the rice capital of the country). In terms of wine, there are three sub-zones outside of the city: Valentino, Alto Turia (both in the east and northeast) and Clariano in the south. There are a variety of styles made from the dry to the sweet. The quarter of the varieties produced come from the mundane Merseguera, a staple variety of the Levant. Critically viewed as a bland grape, it does have a refreshing light herbal zing to it. Easy to drink, but not memorable. Other whites include: Malvasia Riojana (a grape of Greek origin also used for oak-aged white Rioja), Pedro Ximénez (used in Sherry), some Chardonnay and Verdil, a promising grape according to John Radford in his The New Spain. In terms of red varieties, Garnacha Tinto and Bobal are used in rosados with Monastrell being the main red. Most wine drinkers know Monastrell as Mourvedre in France and Mataro in Australia, this grape is either made into a varietal wine or a blend with Tempranillo and the international variety, Cabernet Sauvignon in southern Spain. These wines are worth seeking out as they offer connoisseurs more quality. However, because of the incredible heat which contributes to immensely juice grapes, these wines are rarely aged and better off drunk young. Monastrell has been quite popular with Robert Parker's Wine Advocate, many Jumilla and Yecla wines gaining 90+ points. In Spain, La Mancha is considered the first 'scorcher' (i.e. hot climate) DO in Spain followed closely by Utiel-Requena. 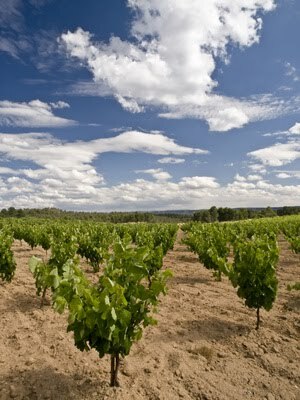 Bobal makes up 80% of the vineyards with Tempranillo and Garnacha making up the rest. Some wines are fermented here then shipped east and bottled under the Valencia DO. There are some amazingly rich reds grown in the region made in the doble pasta style. Basically, the grapes are crushed as they normally are then “the wine is run off and another consignment of crushed grapes is put into the same vessel on top of the previous skins and pulp” (The New Spain). The Result: a wine with big power and mucho, mucho colour. This DO shares the heat of the south and the vines are trained low to the ground. The wines here have traditionally between sweeter-styles but there are emerging pockets of fine red wine producers coming onto the scene with Monastrell leading the pack. The reds I’ve tried from Alicante have tended to be incredibly fruity, packed with a delicious, deep ruby punch of dark cherry. They are rarely expensive and easy to consume. If you can serve these wines slightly chilled to bring out the flavor. When the Moors conquered the majority of Spain in the 8th century, they brought not only their culture but agriculture. They were able to provide irrigation to the seething hot south. This is the land where a vast majority of our citrus fruits were first introduced to Spain: oranges, bananas and lemons. Nowadays, you’ll find the Moorish influence has not waned by no means – Mursia (from the Arabic Mursiyah) has become the canning centre of Spain, with apricots and peaches being the main fruits. Surrounding Mursia in a fan like spread are Bullas, Jumilla and Yecla. Bullas grows 95% Monastrell with a small amount of Tempranillo and Garnacha. 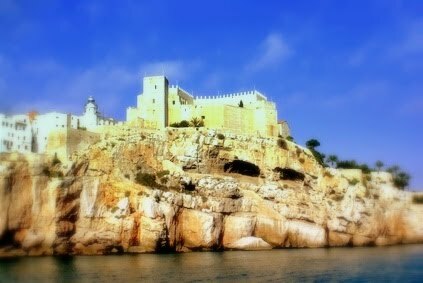 The town itself has a diverse past beginning with the Romans and seeing itself as heavily fortified castle under the Moorish Caliph, Abd-Al Rahman. Finally, during the reconquesta it fell into the hands of King Alfonso the Sage providing protection to the neighboring towns and villages. Jumilla was largely a bulk wine region, selling everything, satisfying the market. So what happened? Well, in 1989, Phylloxera (that nasty little aphid known for eating European vine rootstocks) showed up a hundred years late. Production plummeted to one-third of what it had previously churned out. The region eventually recovered with winemakers starting over, moving forward, ready with a new approach. Research by the local Oenological Station believed that Monastrell could perform better here. Yecla is a small inland enclave centered around the town of Yecla in the province of Murcia. It is the only DO in Spain to have the distinction of containing but a single municipality. The vineyards are situated on gentle hillsides at altitudes of 400-800 metres, surrounded by even higher hills and mountains, providing some excellent views. Archaeological investigation has revealed that wine has been made in the area for nearly 2000 years, most likely by the Phoenicians then the Romans. This wines in this region are relatively young and fruity. Years ago, Yecla supplied wine for bulk blending and export and for a time, fortified wines. It is a region that is finding its own, producing styles that are extremely appealing to new wine drinkers. Davidson, Alan (ed). Oxford Companion to Food. Oxford University Press: Oxford, 1999. Jeff, Julian, The Wines of Spain. Mitchell Beazley, London, 2006. Radford, John, The New Spain. Mitchell Beazley, London, 2007. If you've been in the LCBO recently, you'll notice a section at the front of the store. Beaujolais Nouveaus has arrived. What is going on here? What's so special? For those new to the world of wine, Beaujolais is that southern portion of Burgundy that you might describe as the black sheep of the family. Burgundy is made up of Chablis, the Côte d’Or (encompassing the Côte du Nuits and Côte de Beaune), the Macônnais. All these wines tend to be serious aside from the Chalonaise – their reputation is changing. 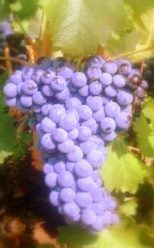 The main two red grapes of Burgundy are Pinot Noir and Gamay. Pinot Noir is the serious and studious grape, a staple for such famous villages as Gevrey Chambertin, Vougeot, Vosne-Romanee, Nuits-St.Georges and Volnay. Pinot Noir has been revered by dukes, queens and kings. Some of the most expensive and prestigious red Burgundians continued to come from the Côte de Nuits. And then there’s Gamay, the Gamin grape. She is what I call the Audrey Hepburn of reds – fun, flirtacious, but a redhead with blushing cheeks and a ribald sense of humor. There’s nothing sophisticated about her (but there’s nothing wrong with Holly Golightly either). Whereas a Pinot Noir is delicate, a Cleopatra of wines, age worthy, sensuous and intellectual, Gamay is here today and gone tomorrow. She’s fun. And when you’re in the midst of winter, you to have a bit more fun? It would seem kind of silly that Beaujolais, a wine meant to be drunk young should be saddled in with Burgundy. Is it a case of the odd couple? Perhaps, but it just so happens for French bureaucratic and administrative purposes the Beaujolais vineyards are part of Burgundy. However, for the Burgundians, Beaujolais wines belong to the vins du Rhône as the vineyards fall within the Rhône département that surrounds the city of Lyon in southeastern France. The climate is distinctly warmer and the vinification methods are substantially different. For a Beaujolais wine to be truly, truly Beaujolais, clusters of grapes are thrown in whole into the fermentation tank. The fermentation takes place literally within each grape. This is called carbonic maceration. After fermentation has occurred, the wine rests in tanks for five to nine months before bottling. Sometimes a producer might throw the wine into a smaller oak barrel to impart a bit of oakiness. The climate of the region is considered Semi-Continental meaning you can expect cool to colder winters but hotter and dryer summers. The soil in Beaujolais is decomposed granite (for the best sites) in the north and sedimentary rock clay and limestone in the south. And another thing, the wines don’t grow on trellises like they do Burgundy but freestanding vines. There are 96 villages but only 10 of which are recognized as making superior wines. There are three levels to Beaujolais (we’ll get to Beaujolais Nouveau in a minute). BEAUJOLAIS – the regular, everyday quaffing wine. The vineyards are less distinguished, the soil is fertile (which means grapes grown in abundance and growers care less about yields, meaning fairly typical, dull, but fruity wines) and the land is flat (the better sites are on slopes). BEAUJOLAIS-VILLAGES – these wines come from 39 villages in the hilly middle of the region. Here the soil is less fertile meaning the vines have to struggle to produce better grapes. The struggle imparts character and flavour to the berries. The finished product is a blend of several villages. St.Amour – a rich, silky wine with aromas of peach, said to be named after a canonized Roman who accepted Christianity following a near death-experience. Juliénas – a bit more powerful than the others, this wine is rich and spicy, named after Julius Ceasar. Chénas – smallest of the Crus, you can expect a bouquet of roses and a supple, princess- like grace on your palate. Moulin-à-Vent – is a hearty rich red with a beautiful balance. The village is named after a 300-year old windmill that stands near the vineyard. Fleurie – whereas Moulin-a-Vent is the more masculine, Fleurie is the easy feminine wine with a floral bouquet and velvety texture to match. Chiroubles – is located at the highest altitude and offers a boquet of violets, not to mention the lightest body and the lowest tannins. Morgon – is rich and massive, deep purple with aromas of apricots and earth. Régnié - will please you with its round, full-bodied red currant rush of fruit. It is also the newest cru, added in 1988. Brouilly – is the epitome of Beaujolais – fruity, grapes, light-bodied with irristable aroms of raspberries, cherries, blueberries and currants. The largest cru. Côte de Brouilly – offers heady, lively deep fruit in a light-bodied wine. The vineyards are located on an extinct volcano. We live in a variety-obsessed culture where Chardonnay and Cabernet are the first grapes we think of when we think wine. These international varieties are globetrotters, making their way into vineyards from California to South Africa’s Cape to the coasts of Australia and New Zealand. Gamay is a stay-at-home type. You can find a bit here and a bit there, notably Switzerland in the Dole where it is blended with Pinot Noir and the occasional plantings in Canada, New Zealand and England. As I mentioned earlier, November is the time when Beaujolais Nouveau is released. What is this wine and why is it so special? Well, Nouveau is French for ‘new’ and in the world of wine, one that is produced specifically to be drunk young, just weeks after the harvest. Every year on the third Thursday of November wine and liquor stores will be stocked with this type of wine. These wines undergo carbonic maceration but for just a few days. These wines are meant to drunk slightly cool and within weeks of release. They are easy to quaff and when you drink a Beaujolais Nouveau, you share in experience that occurs around the world. While you’re drinking your Nouveau here in Niagara, people in France, Germany, Spain, Japan, China, the United States and England are also opening up bottles to savour the fun and flirty wines. It’s like the New Years of Wine – when we drink in, we join in on the celebration. The great benefit for French producers of Beaujolais is that they get an immediate return on their wine. The benefit for us, we can enjoy the fruits of their harvest and forget about the coming winter. Johnson, Hugh and Jancis Robinson, World Atlas of Wine. Mitchell Beazley, London, 2001. Robinson, Jancis, The Oxford Companion to Wine. Oxford Univ. Press, Oxford, 2003. 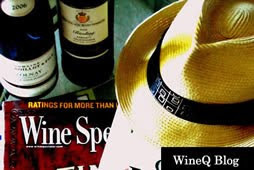 WineQ.ca's blog is about the culture, history and education of wine. I tell the stories behind wine - the people, places and the regional personalities of the wine-countries around the world. My focus is mainly on wine culture, history and education. I love the stories behind wine - the people, places and the regional personalities of the wine-countries around the world.